This homemade tortilla recipe may require a little practice before arriving at the preferred size and consistency. A tortilla press is useful, but not essential for pressing the small round ball of corn dough into the flat, round, traditional tortilla. You have the option to place the ball dough between two sheets of plastic bags and roll the tortilla out. Then carefully remove the top plastic bag flip it over in your hand and remove the second plastic bag. Mexican food without corn tortillas is like Chinese food without rice. 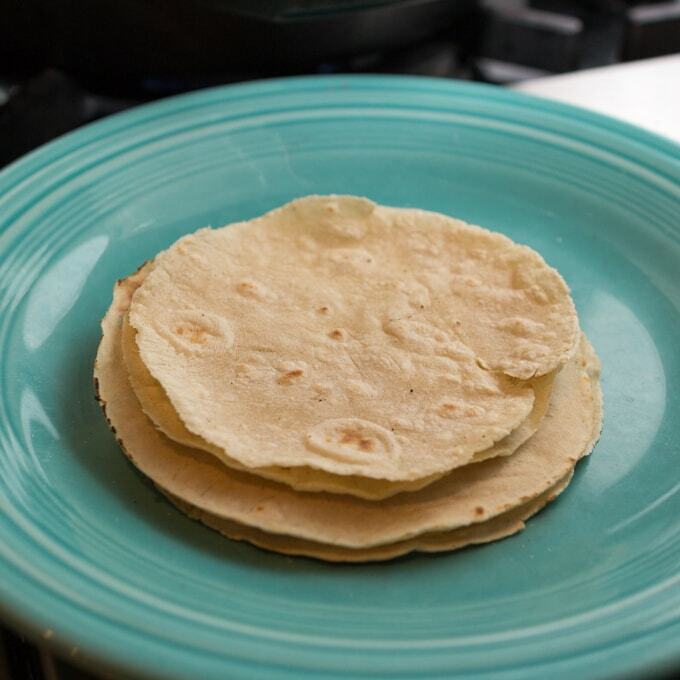 I encourage you to try this homemade tortilla recipe and to experience good fresh homemade tortillas at least once. You will love it. Place the corn dough and salt in a container. Add water a little at a time and begin to knead. Continue to hand knead until you have obtained a good soft consistency that is not sticky. Cover with a cloth and let the dough stand 10 minutes. Pre-heat a lightly greased frying pan. Take about 1 – 1 ½ spoonfuls of the corn dough at a time; hand roll it into a small ball. 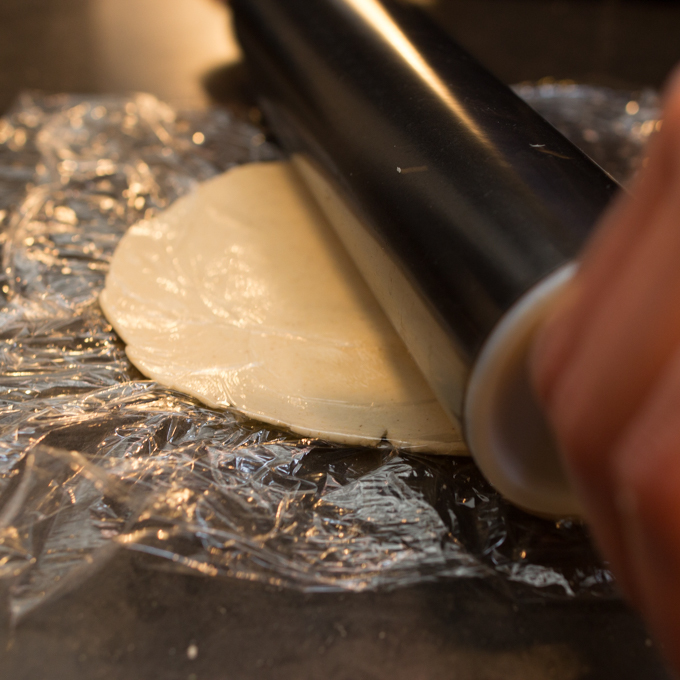 if you use the tortilla press then line it with the sheets of plastic. A ball of corn meal dough is placed in center and it gets flattened once you press. If you use a roller: Place the ball of corn dough on a sheet of plastic then place another on top. Use a roller to flatten it out. It should be about 3.5 inches in diameter. Place a lightly humid cloth on a large tray where you can begin placing the tortillas. Cook the tortillas on each side until done. Serve hot, wrapped in a nice cloth to preserve warmth. 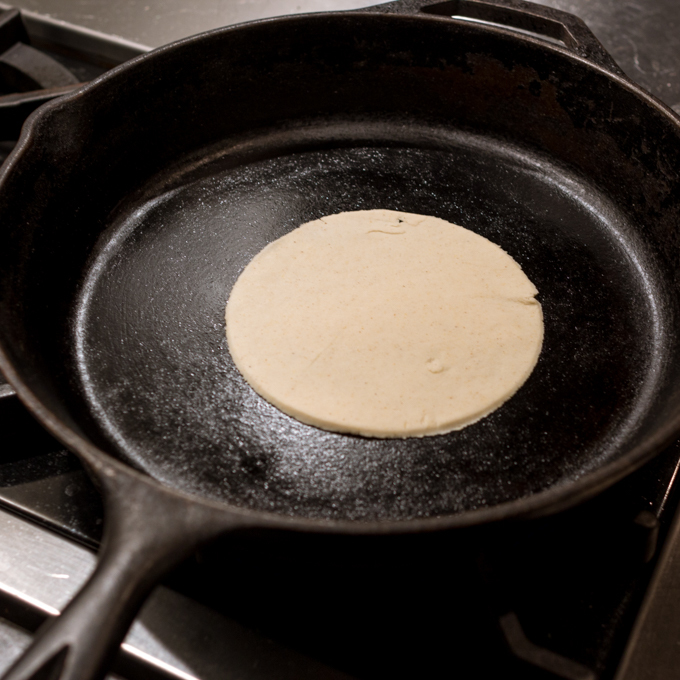 A Comal is a flat, cast iron skillet used to roast peppers and bake tortillas. A tortilla press is a device used to make homemade corn tortillas. It is used to flatten the bails of corn meal dough into round, flattened tortillas. HOW DOES THE TORTILLA PRESS WORK? The bottom of the tortilla press is lined with plastic wrap. A bail of corn meal dough is placed in the center and it gets flattened once you press. CORN: In combination with other vegetables in the diet, corn is an excellent source of proteins, carbohydrates, and vitamins. It is rich in fiber which helps lower cholesterol. Corn is an excellent and basic food source. It provides energy at a low cost of calories. In corn you have thiamin, one of the B-complex y vitamins, which is essential for transforming food into energy. The low content of corn is both polyunsaturated and monounsaturated, which is healthier than the saturated kind that is found in meat or whole milk.